So you’ve made the transition to paleo but need help convincing your kids to get excited about it. Spoiler Alert: It’s not going to be easy. That said, it doesn’t have to be impossible. Eating paleo with your kids can be fun and easy. Here’s how. You’re a parent, so your kids will automatically assume anything you do is simultaneously uncool and a terrible idea. You’re likely to end up with a bunch of faces staring back at you and your kids wondering why you’re all excited about pails. Don’t make a big deal about it to start with. Even if it is a big life change, you don’t have to make a massive deal out of the transition. If you’re stealthy about it, you can sneak some lifestyle changes in bit by bit. The best thing you can do is make the switch slowly. Take baby steps. In other words, don’t go cold turkey. Here’s how you can go about doing just that. First things first: start eating real food. This means no packaged dinners and no food which contains ingredients you can’t pronounce. If you’ve been having microwave dinners, start cooking your meals. If you eat out a lot, find paleo-esque restaurants when you go out. Avoid the easy but terrible fast food options. For example, instead of going to McDonald’s, go to Chipotle. You don’t have to clear out the pantry and go 100% paleo in a day. In fact, you’ll probably have more chance of getting everyone to buy in if you take it slower. This is probably the most subtle but the biggest change you’ll make to your eating habits. It won’t be as obvious as “we’re not eating pasta anymore” but it might have a bigger effect. If you take a second to look through the food that your kids regularly eat, you’ll be surprised at how many items contain high fructose corn syrup. The HFCS manufacturers try to ignore this (through ridiculous ads like these) but there’s no denying that HFCS plays a huge role in childhood obesity . Think about cutting grains and dairy out of your diet. You can have a dramatic impact on your health by removing these two food groups. You can do this by limiting your kids’ bread consumption, for example by replacing their sandwiches with a healthier alternative, and by ensuring that the only dairy they consume is cheese or yogurt (just watch the sugar). Most kids are going to drink soda. At some point, at a party, sleepover, or amusement park, they’ll be offered the fizzy stuff. Soda is practically cheaper than water, so it’s everywhere. That’s fine, but have a limit. Create a cutoff number, so that your kids know they’re only allowed a certain amount. If you can, find the sodas which contain real sugar instead of HFCS. 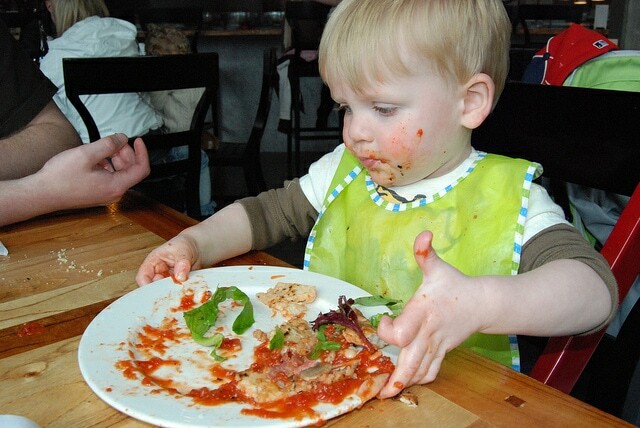 The hardest part of keeping your kids paleo is not being able to see them and control what they’re eating 24/7. However, when you can see them, you should do your best to be a great influence. Cook more of your own meals and make them more paleo friendly. If you can make your meals delicious, even better. This will help to communicate the message that eating “healthy” doesn’t mean food has to taste terrible. If you need help with this, at UPG we have a ton of resources to help you out. 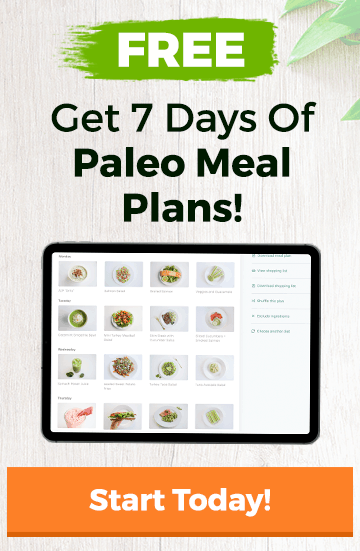 Check out our index of paleo recipes, the paleo cookbooks we recommend, and the solid paleo recipes at Paleoso. 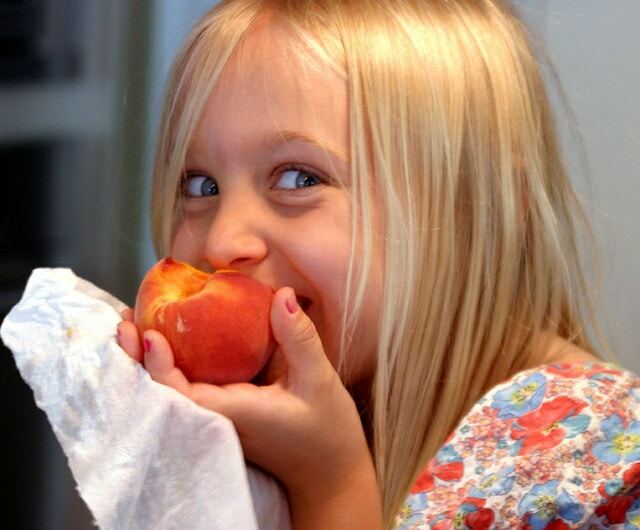 Keep more fruits and vegetables around the house. When you do this, you’ll find that your kids will slowly get used to the idea of using it as a snack. Also, when you have the food around, you’re much more likely to stick with paleo. If you need help with knowing what’s paleo and what’s not, check out the food list here. Make great paleo-friendly snacks and have them readily available around the house. Remember, your kids are kids. They’re not perfect (and neither are you for that matter!). They’re going to screw up and they’re not going to eat paleo 100% of the time. They are kids after all. However, try to focus on getting them to eat paleo 80% of the time. By doing this, you’ll set up not only solid expectations but a framework for healthy eating as well. Think about it: how much were you concerned with nutrition when you were between eight and sixteen years old? You probably only cared that your food tasted good. If your kid can get to 80% paleo, you need to give them serious credit. Face it: your kids still want to be kids. Part of being a kid is eating ice cream in the summer, getting cotton candy at baseball games, and sometimes having a sugar high or two. There’s nothing wrong with limiting those times, but don’t do it every day. The worst thing you can do is forbid your children from having any sweets in the house whatsoever. This approach will not promote a healthy lifestyle and it is likely to result in your children going on binges and stuffing their faces while they’re at their friends’ houses. If you take this approach, instead of teaching your child how to eat healthy, you’ll create a real life cookie monster. While you want to raise your children well, you don’t want to brainwash them. Let them make their own decisions. The best thing you can do is set an outstanding example for them to follow. If they see other kids’ parents feeling tired and getting sick all the time, and then see that you’re always full of energy and the picture of good health, they might actually start to believe that you’re onto something. If you force them to eat paleo, the first chance they get – whether that’s at a friends house, on vacation, or at college -, they’re going to rebel and do exactly the opposite of what you have taught them to do. You want to show and tell them the benefits of eating paleo, being healthy, and performing at your peak, rather than simply shoving healthy eating down their throats simply because “cavemen ate like this”. Depending on the maturity of your kids, you might want to explain your reasons for going paleo. If you have kids in middle or high school, and think it will go down well, share with them your reasoning for the diet change. If you have a personal transformation story, share that with them, and explain why it’s important to you to make these health changes. If they’re athletes, it might be an easier sell paleo as something which might help improve their athletic performance. If you need help convincing them, show them this article about Kobe Bryant and The Lakers following a paleo-esque, low carb, high fat diet. Have you decided to go paleo with kids? How has your transition gone? Do you have any additional tips to help make the change easier for other parents?